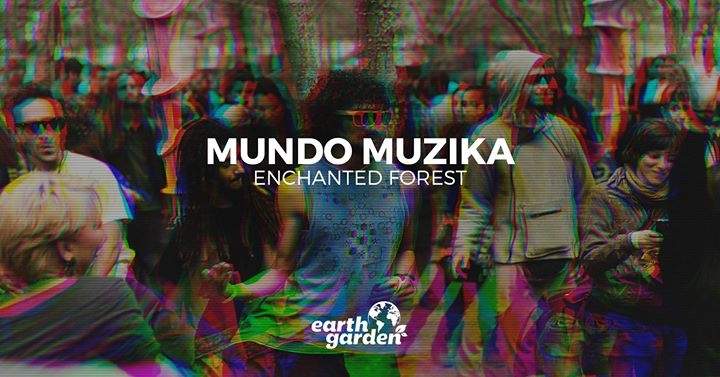 After the great success of last year’s “Mundo Muzika at Earth Garden”, Mundo Muzika will once again take the Enchanted Forest on an unforgettable trip around the World with various diverse and uplifting World Music fusion DJ Sets. Mundo Muzika’s sets will feature an eclectic music fusion of Gaelic, Central Asian, Indian, Persian, Tribal Aboriginal, African & North African, Middle Eastern, Gypsy, Spanish Flamenco, Central American, Scandanavian and Balkan Folk & Dub fusion incorporating classic and modern styles with a touch of electronic and a hint of psychedelic. This year, Mundo Muzika’s DJ sets will be supported by live performances by various artists such as Bibita, playing their unique medieval music, Mundo Rotundo, playing Mediterranean music including Spanish, Klezmer and Balkan, Nik X Conti & Peter Paul, playing Tribal Aboriginal music on didgeridoo, drums and percussions, and Antojn Karuna, playing an uplifting World Music DJ set accompanied by live percussions on Djembe and Tarbouka. The flight departs on Saturday 3rd at 18.00hrs sharp and is expected to land at 01.00 on Sunday 4th with chances of delay.